Group Core instructor Evan makes it look easy every Wednesday night at 7:10pm in the Group Fitness Room. If you hear the class name “Group Core” and you immediately picture endless rounds of sit ups, crunches, curls, whatever you want to call them, I would like to offer a different version of “core training”. 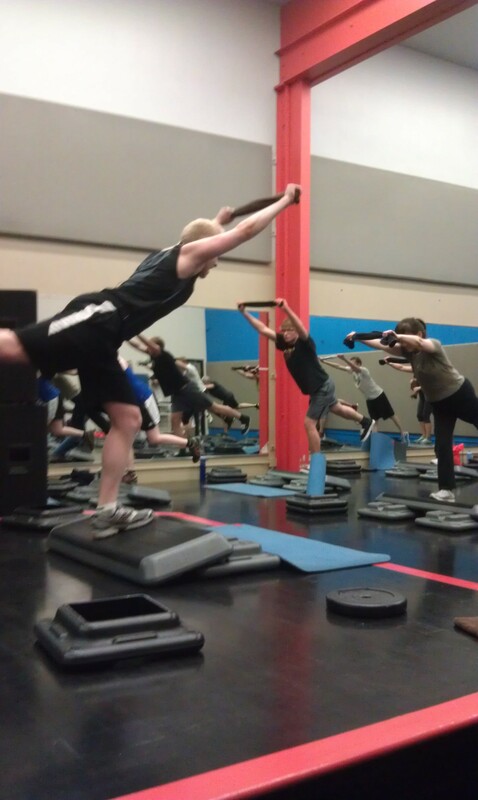 Highline Club Group Core instructors train you like an athlete in 30 action-packed minutes. A strong core from your shoulders to your hips will improve your athletic performance, help prevent back pain, and assist you in moving well during everyday activities. Your Group Core instructor will coach you through functional and integrated exercises using your body weight and weight plates. The human body is designed to move in various planes of motion. Group Core trains you to move strongly in different directions using a variety of squats and lunges. Stabilization and balance exercises such as planks, burpees, extension and flexion exercises of the hips and shoulders are used to increase core engagement and body control. These exercises and more are used as a single exercise or together to hit the objective of increasing the overall strength of your core. Join us for Group Core! Group Core classes at Highline Club have become an integral part of the fitness plan for those seeking a comprehensive training experience that is time efficient. Join us for Group Core Tuesday and Thursday mornings at 7:10am and Monday and Wednesday evenings at 7:10pm in the Group Fitness Room. Group Core is included in your membership, or non-members can drop in to the class for $9 with photo ID. Class schedule is available here.